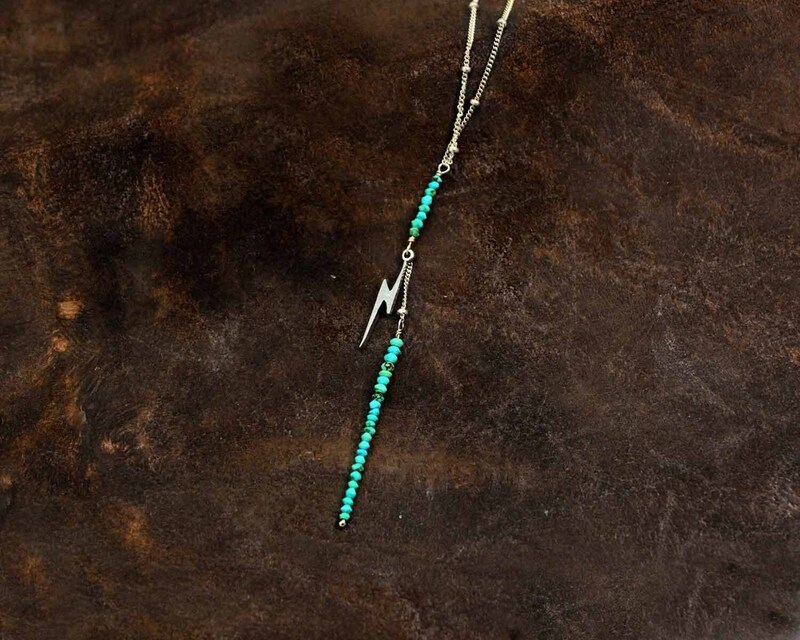 Turquoise Necklace, Storm Jewelry. Y Necklace. December Birthstone. 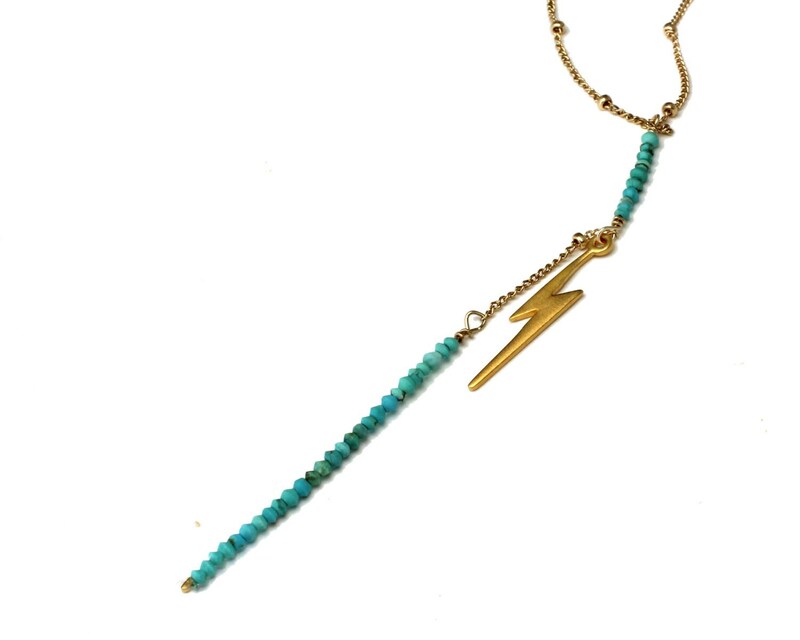 Lightning Bolt Necklace. Gold Filled or Sterling Silver. 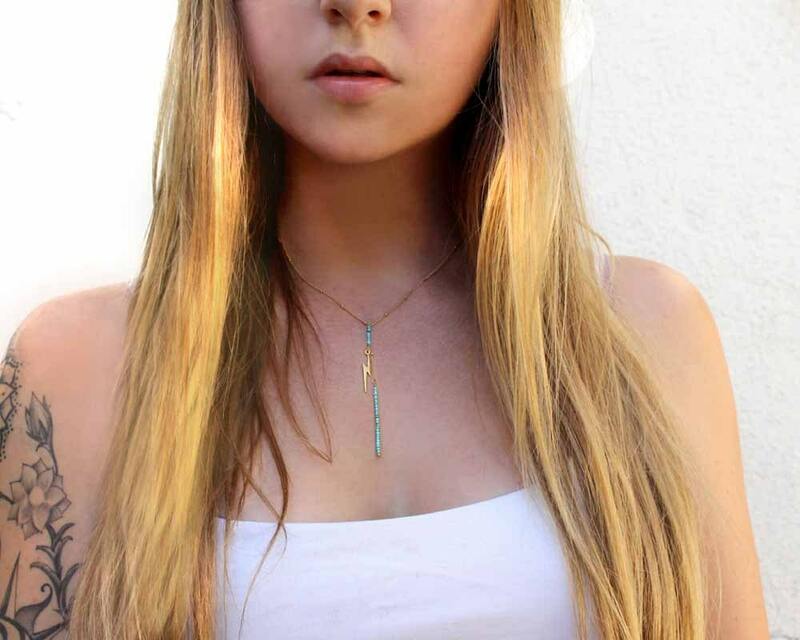 Gorgeous and delicate dual drop necklace. 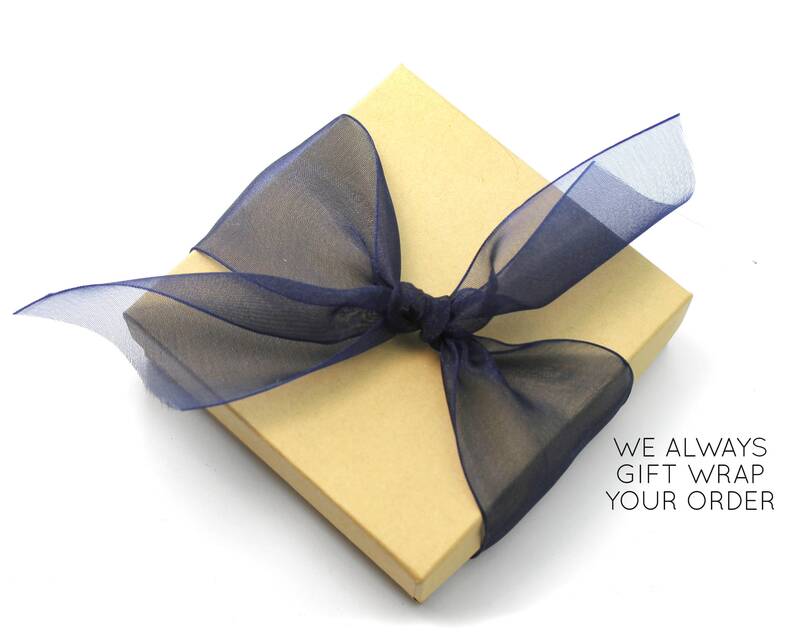 It comes gift wrapped with a cute card about the stone's properties. 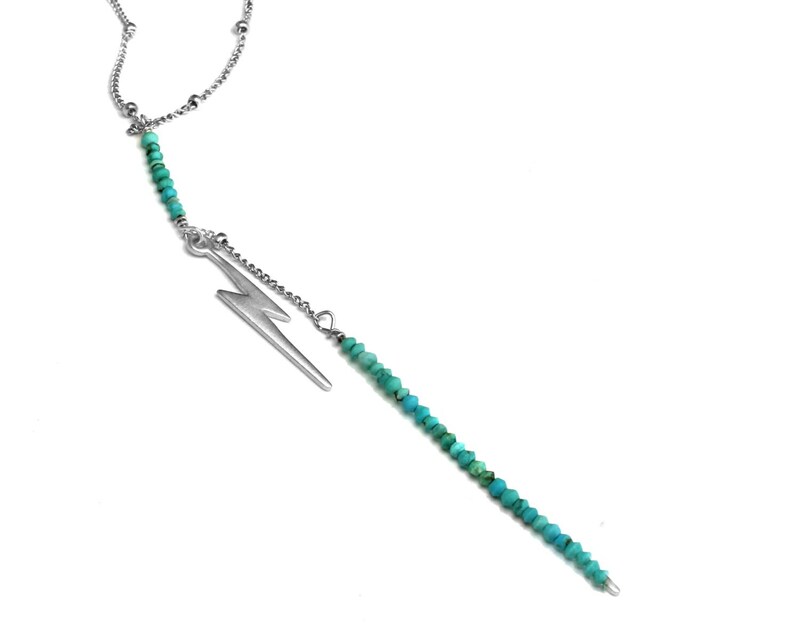 It has a 22k Gold Vermeil or Sterling Silver lightning bolt on your choice of Gold Fill or Sterling Silver satellite chain.